"Relaxation occurs when restrictions are released"
CHOOSE TO FEEL AND BE YOUR BEST! Do you want to alleviate Chronic/Repetitive Pain Patterns? Strive to increase mobility and fluidity? WOULD YOU REALLY LIKE TO GET BACK TO A HEALTHIER YOU? I have been successfully serving the Suffolk Community for the past 13 years. I am Licensed in the State of New York to practice Massage and Bodywork Therapy. My continued education and certification of all types of massage therapy enables me to treat clients recovering from injuries, as well as injury prevention, chronic or acute conditions, postural imbalance and stress management. My passion for my work allows me to treat each client as an individual. My goal is simple, treat the underlying cause of your condition(s) as effectively as possible that yield long lasting results. You should expect to feel a renewed sense of recovery when discovering what a pain free body feels like. Aging is not an acceptance of pain; learn to release the restrictions that hold you back physically. Statistics show, one of the number one causes of inactivity is muscular pain. Pain is not a normal part of aging. Don't learn to live with it, or manage it . . . ......resolve it! 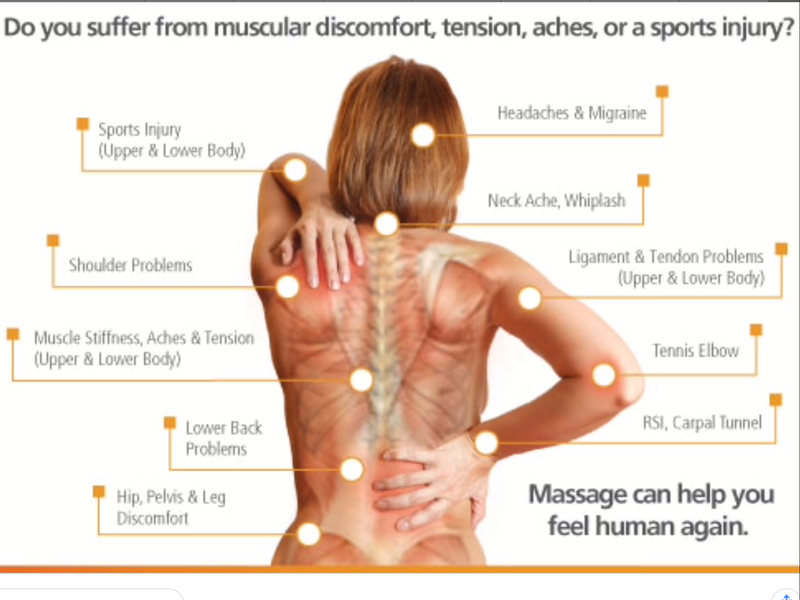 Whether you are a Weekend Warrior, Sports Enthusiast, Dancer, High School or College Athlete, Pregnant, "9 to 5-er", Stay-at-Home Domestic Goddess, or enjoying your Retirement Years, Licensed Massage Therapy can help bring your body back in balance. Expect more from a licensed massage therapist - relaxation lasts one hour; but, proper technique and training changes muscle structure and assists in recovery. Cumulative care of muscular structure along with proper ergonomics minimizes as well as alleviates pain and immobility. All services are designed to your comfort level with a therapeutic touch. My clients want and deserve more from their therapy sessions; WOULD YOU REALLY LIKE TO GET BACK TO A HEALTHIER YOU? I think you deserve it too!